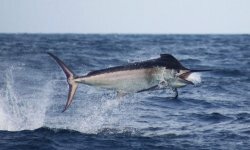 This Fishing Report is supplied by Eric Brictson of Gordo Banks Pangas. Click on photo or link below for More Info. 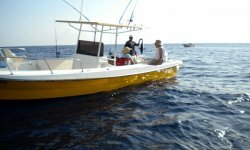 Eric's fleet now consists of ten 22, 23 & 26 foot Pangas, which are fiberglass skiffs with outboard motors. They are very seaworthy and now are positioned at the end of the gangway in Puerto Los Cabos Marina. 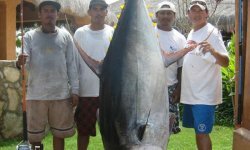 Picante Bluewater Sportfishing is the premiere sportfishing company in Cabo San Lucas and boasts the finest charter fleet of CABO Yachts in the world! 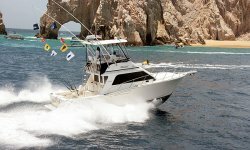 Our main office is located at the head of the docks right in the Cabo Marina District and only a few feet from the whole Picante fleet of boats that take you to the fishing grounds.